BORN: Cambridge, Ontario, Canada, March 17, 1971. Selected by Quebec Nordiques in third round (fourth Quebec pick, 54th overall) of National Hockey League entry draft, June 17, 1989. Traded by Peterborough Petes to London Knights for second-round pick in 1990 OHL draft, and second- and third-round picks in 1991 OHL draft, January 1990. Traded by Knights to Sudbury Wolves for fourth-round pick in 1991 OHL draft, December 1990. Traded by Nordiques to Mighty Ducks of Anaheim for fourth-round selection (F Tomi Kallio) in 1995 entry draft, February 20, 1994. Shared (with Todd Bojcun) Dave Pinkney Trophy, 1987-88. Shared (with Todd Bojcun) Dave Pinkney Trophy, 1988-89. 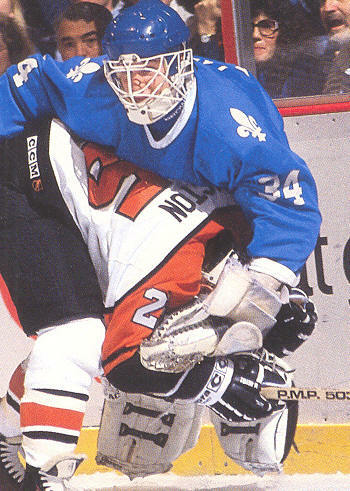 Selected by Quebec Nordiques in 1989 National Hockey League entry draft.